Dining on Leviathan. Discoursing with Socrates. Debating the nature of existence in the afterlife. 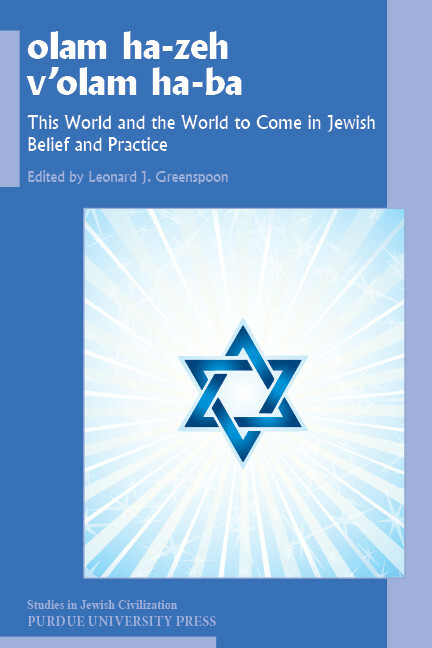 These are among the topics authors address in this wide-ranging account of how Jews have conceptualized the world to come and structured their lives in this world accordingly. Some authorities portrayed the afterlife as an endless round of feasting and drinking of chazerie that would put the fanciest Las Vegas buffets to shame. There were visionaries who mapped out otherworldly climes populated by monstrous creatures. Others, decidedly more staid, saw the world to come as a location where neither food nor wine would be consumed; instead, it would offer the opportunity to bring moral certitude to questionable practices that could not be eradicated in this world. More down to earth are comparisons between Rabbi Akiva and Socrates, and analyses of influential thinkers like Moses Mendelssohn and Emmanuel Levinas. And more practical are discussions of how concepts of the afterlife serve to determine mourning practices, or more broadly, how humans should fashion their lives in the here and now. The chronological range of these chapters also is impressive. The earliest documents discussed are from Apocryphal literature, including apocalypses, that were composed from 400 BCE to 200 CE. There are creative analyses of rabbinic material and documents from the medieval period through the twentieth century. Evolving ritual and liturgical practices bring readers up to the early twenty-first century. Each of the thirteen authors whose works are brought together in this volume shows historical, cultural, and religious sensitivity both to the unique features of these differing manifestations and to the elements that unite them. 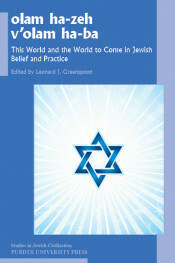 For the readers of this volume, which is equally rewarding for general audiences and for specialists, the result is a carefully nuanced, creatively balanced exploration of the breadth of Jewish thought and practice concerning some of the most profound and perplexing issues humans face.